We live in the same world and examine the same facts, but we have different views about the past. Why? No results found in Created Creature. To say that the human brain is more amazing than a computer misses the point. We now know that it’s nothing like a computer— and far more powerful! 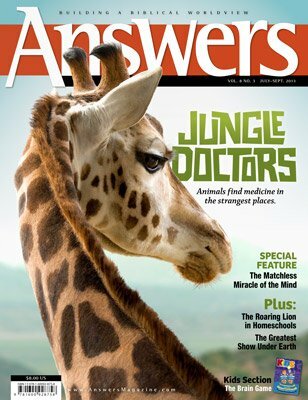 In this issue of Answers you’ll learn why a computer will never match the human brain. Also, discover why the big bang is a theory in crisis, what the Bible says about women in combat, and much more!